item 7 Intel Xeon E5-2670 2.6GHz Eight Core SR0KX Processor Free Shipping Incl. -Intel Xeon E5-2670 2.6GHz Eight Core SR0KX Processor Free Shipping Incl. Easily replacable to hp z420 workstation. This stepping version is corrected from the design fault intel made. Great value and good for video editing rendering. Works great in a dual socket motherboard. No issues found so far. Great power for a decent price. 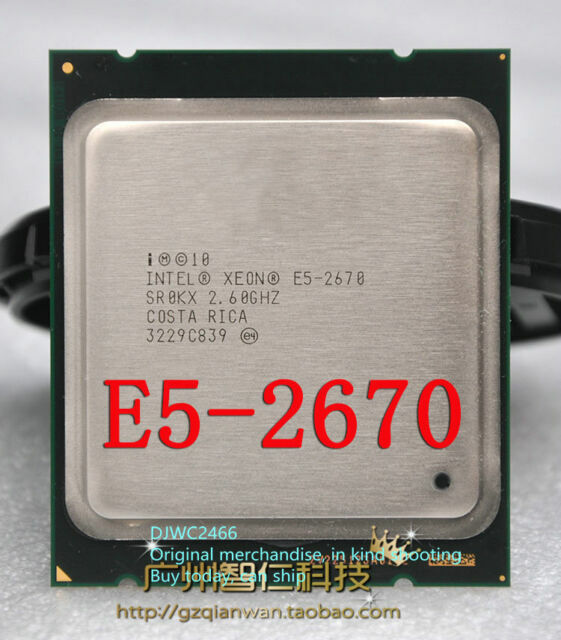 The Xeon E5-2670 is an amazing older gen processor which offers great compute power for a reasonable price.